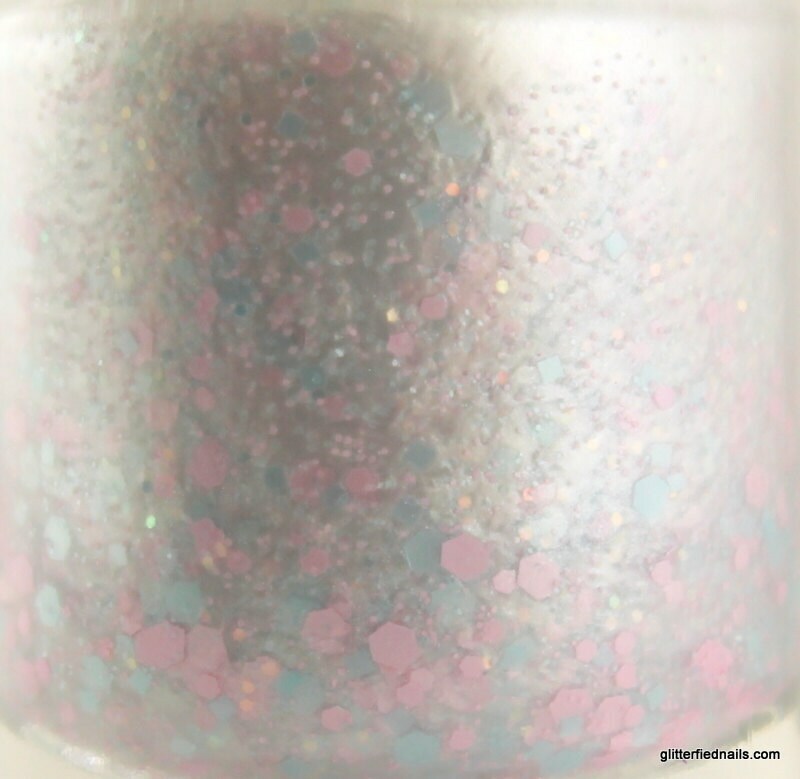 Pearl white 5 free nail polish loaded with pastel pink and baby blue glitters. Beautiful, shimmering pearl leaning ever so slightly towards silver with baby blue and baby pink hexes. Wear alone, opaque in 2 coats. Perfect for Spring! Swatches - Left to Right - 2 Coats over no base, 2 coats over white and 2 coats over black.